Studio Naga's program promotes confidence, coordination and discipline in a safe - FUN! - and caring environment. 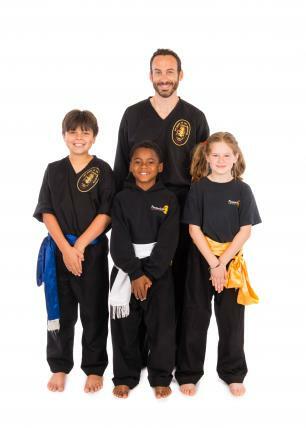 Our instructors are qualified martial arts instructors, and many are certified elementary school teachers. We offer a high instructor to student ratio and stress peer support, leadership and cooperation. Classes focus on animal style movements, physical and verbal self-defense, and conditioning. Each child is encouraged to reach their po own personal potential. Afternoon, evening and weekend classes are available, as are classes for kids and adults together. See our frequently asked questions page for additional info. We've been voted Best of the Bay! "Jungle Gym" is the class for younger kids. 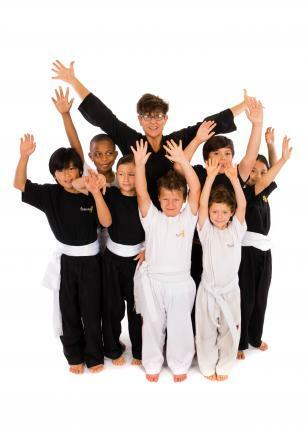 Through creative martial arts movement, kids learn balance, coordination, respect, focus and cooperation in a safe, supportive environment. Some basic gymnastics are introduced, along with games that promote skill development. 2017/18 After-School Martial Arts Classes will be offered at the following elementary schools: Chabot, Thornhill, Hillcrest, and Glenview, and at the the Berkeley YMCA. Please contact us to arrange a program at your school. Studio Naga is affiliated with The Tulen Foundation, a 501(c)(3) non-profit that helps provides scholarships for those in need. Please inquire for more information or for a Tulen Foundation application.